Troy Bellerose was born into the Cree Nation in Picture Butte, Alberta in 1970. 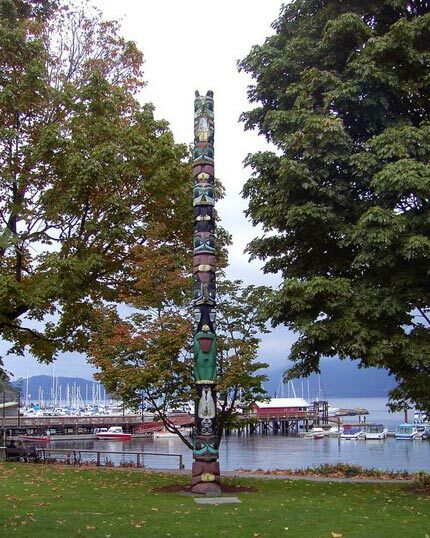 Although Troy is not of west coast heritage, he became fascinated with the art form after meeting a number of west coast First Nations artists. One of them was Andrew Morrison of the Nisga’a Nation. Andrew taught Troy the basics of carving the west coast style; mainly the form, shapes and balance to achieve an overall design. In very short order, Troy developed into a versatile artist working in the mediums of red and yellow cedar. 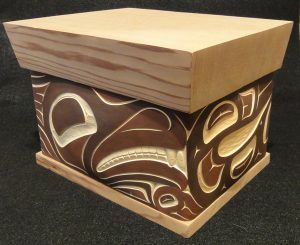 Troy’s work is generally clean and broad in design and includes bentwood boxes, masks and other carvings.